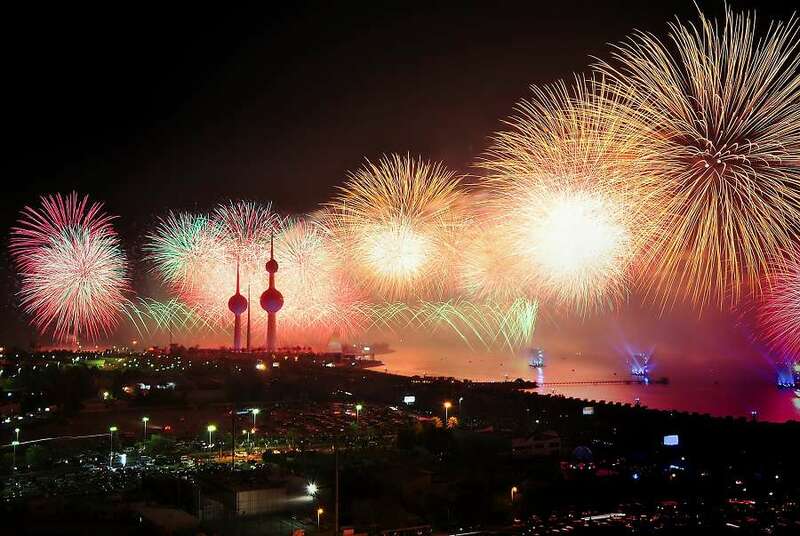 Car hire in Kuwait is a sensible and reliable way to see this rich and beautiful country. When you rent a car in Kuwait with Sixt, you can explore the varied landscape in a vehicle that suits you, with a variety of options for personalising your driving experience. Booking is quick and simple too, and by paying in advance by credit card, you can begin your driving adventure as soon as you arrive. Even better, if you need to make a change to your plans, you can usually cancel without any charge. Read on to hear about some of the best tourist spots that you can experience when you rent a car in Jamaica. Kuwait is a more unusual holiday destination, so we have put together this useful guide to help you learn the rules of the road and identify the main places of interest, shown on the map below. We want to make your stay as convenient as possible for you, which is why we offer a choice of branches in Kuwait, including one at the airport. We at Sixt can offer you a variety of car hire deals in Kuwait, to suit your style and budget. Families will love our economical saloons and estates, or may want to choose a 4x4 if you're exploring off the beaten track. Alternatively, impress Kuwait's elite in a sports car or convertible from a top name in prestige car manufacture. We can also provide a range of extras to make your car rental in Kuwait more comfortable. For an additional cost, you can include Sat Nav or internet provision, keep the children safe with child seats or insure additional drivers on your rental car. It's easy to book any extras you require when you reserve any of our car hire deals in Kuwait. You can reserve your car hire in Kuwait using American Express, Visa or Mastercard. Debit cards and prepaid cards cannot be accepted. You must be the cardholder and be able to show the card, as well as a valid passport or ID card, at the time of collection of your vehicle. You must have a valid driving license. If you are from a Gulf Cooperation Council country, your own license will be sufficient, but drivers from other countries must also show an international driving license. You must be at least 21 years old to rent a car in Kuwait, and have held your driving license for a minimum of one year. For some car categories, however, you will need to have held your license for longer and be aged at least 23 or 25. In the unfortunate event of you being involved in a road accident in Kuwait in your rental car, the police, ambulance service and fire brigade can all be contacted by calling 112. To help you get the most out of your car hire in Kuwait, we have listed some of the main driving rules, major routes and information about car parking while you are here. Please note that drivers here are notoriously fast and take a lot of risks, so you should take great care on the road at all times. You drive on the right hand side of the road in Kuwait. You have to stop completely before entering a roundabout, rather than just giving way. Alcohol is illegal in Kuwait, and possession of it can get you deported. Driving with any alcohol in your system carries a prison sentence of one year. If you fail to stop at a red light, you can go to prison for three months. You can be fined for speeding or not wearing a seatbelt. Children aged under 10 are not allowed to travel in the front of the car. In built up residential areas 45 km/h. There are no toll roads anywhere in Kuwait at the present time. The main routes here are ring roads, which serve the major cities. The busiest of these are the 1st Ring Road, which circles Kuwait City, and the 4th Ring Road, serving Salmiya, Shuwaikh and Al-Rai. Highways 30 and 40, which run parallel to each other, run through Mahboula, Ahmadi and Fintas, en route to Saudi Arabia. The main cities in Kuwait tend to be well served with public car parks, which you have to pay to use. No parking areas at the roadside are clearly marked - if the pavement or kerb is painted black and yellow, you are not allowed to park there. 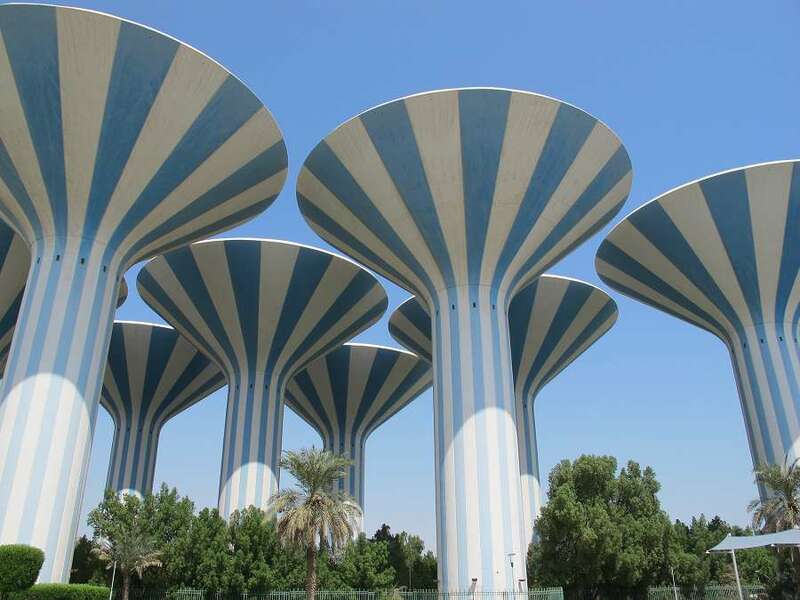 Amongst Kuwait's many famous architectural landmarks, probably the best known is Kuwait Towers, in Kuwait City. This is a group of three towers standing together, the tallest of which is 187 metres high. Stunning views can be seen from the cafe at the top. Drive out to the Dhow wharf in Salmiya to see a touch of the city before its hyper-modernisation, from where you can view the amazing skyline of the city. For a glimpse of Kuwait's long and varied history, visit Failaka Island, 20 km off the coast, which has been inhabited for over 4,000 years. The ruins of Ancient Greek temples can still be seen here. Your rental vehicle offers a perfect opportunity to discover the vast gravel plain of the ad-Dibdiba Desert, and also pay a visit to the Sabah Al-Ahmad Natural Reserve. Once a war zone during the 1990 Gulf War, this landscape has been transformed into a beautiful nature reserve housing many species of animals, birds and vegetation. Messilah Beach is one of the largest and most beautiful beaches in Kuwait, which also contains swimming pools, restaurants and gardens. 30 km off the southern coast, you can find Kubbar Island. This is a particularly popular destination for scuba divers because of its coral reefs and the exceptionally clear waters surrounding it. The island itself attracts a wide variety of wildlife. Cross border car hire in Kuwait is only available on request by contacting your Sixt branch in advance.